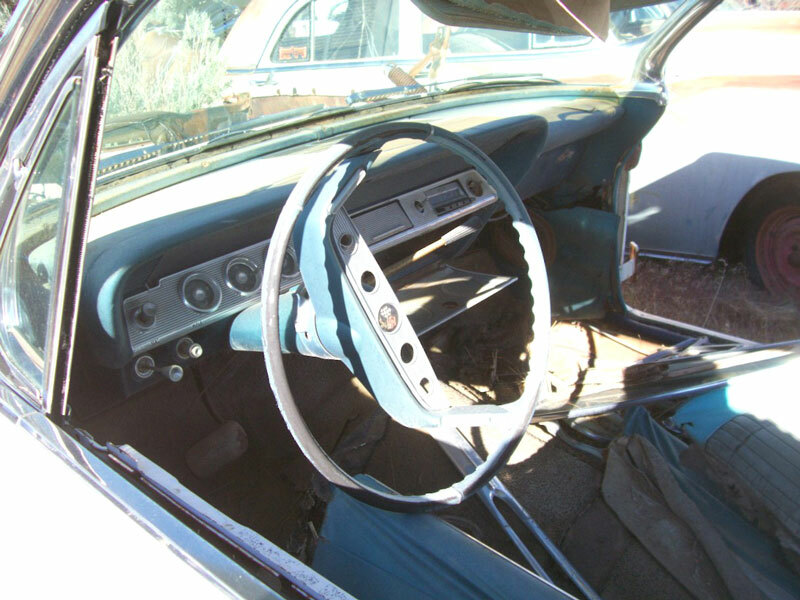 This white and blue 1961 Chevrolet Impala 2 door "bubble top" hardtop is a desirable project car ready to be restored or customized. The right door and hood are missing. The left door and trim are dented. 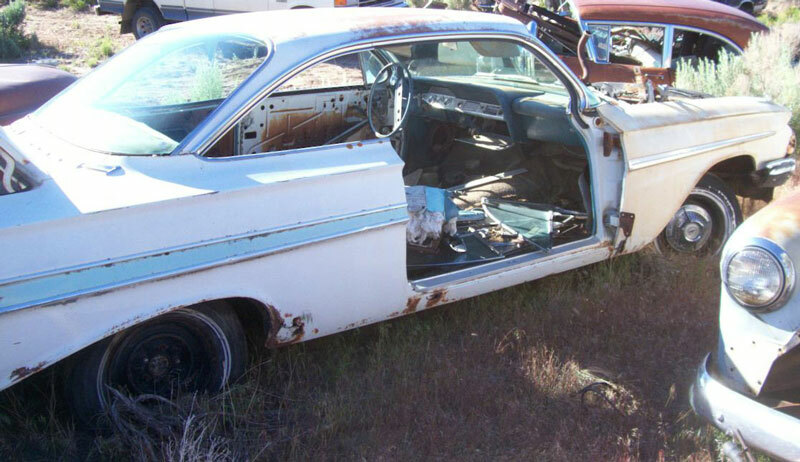 There is rust in the rockers and around the wheel wells and back bottoms of rear quarter panels. The quarter trim is dented on both sides. 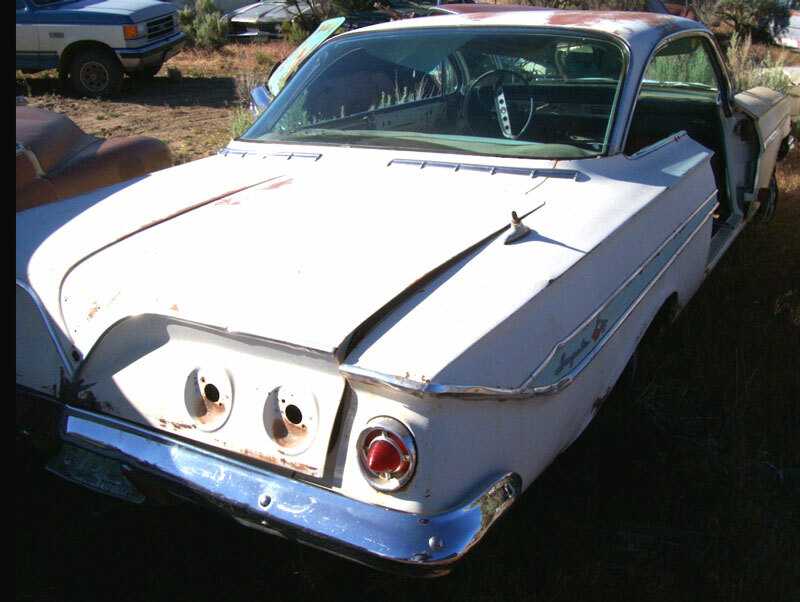 The right deck lid tail lights and trunk lock are missing. The right deck lid trim is dented. The rear bumper is dented. Both front fender tops and headlight areas are rusted. The left headlights are missing. The front grill is good except the center badge is broken. The front bumper is good. The seats are gone except the hard-to-find rear top back seat is there. The glass and frames are out and on the floor. Some of the interior panels and other interior parts are there. The dash is complete except the radio knobs are gone. The floors have some rust. The windshield is cracked and the rear glass is good. The motor, transmission, radiator and other engine components are gone. The car was an automatic car. It has power steering and the pump is still there. 1961 Chevy Impala bubble tops are one of the most desirable cars to build so don't miss this opportunity. 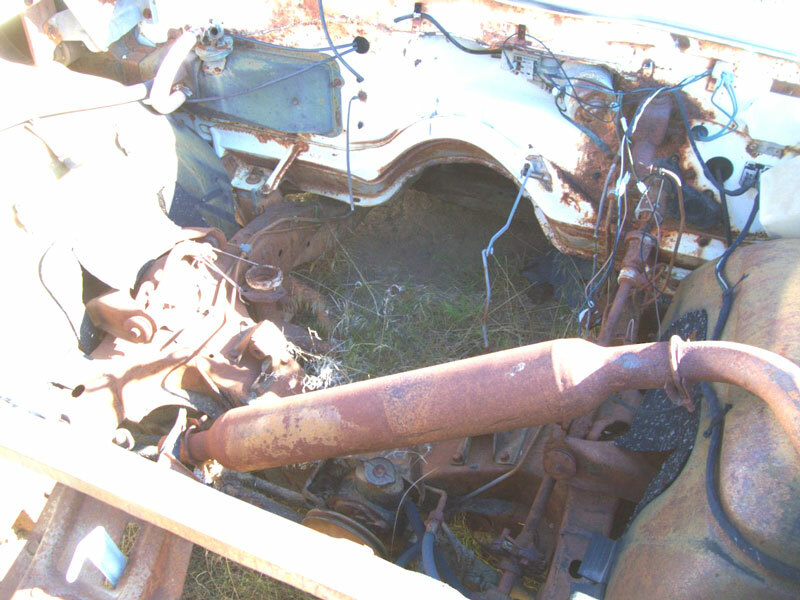 Please call (406) 318-0270 for details about this restorable classic 61 Chevy bubble top project car.